If you currently have a VA loan and are looking to save money on your monthly mortgage payment by lowering your interest rate, the VA streamline refinance program is worth learning more about. The VA IRRRL program is one of the most beneficial refinance programs offered to Veterans and Military service members today, including some of the most competitive rates. Up-to-date on your mortgage payments without exceeding a one 30-day late pay within the past 12 months. The new VA monthly mortgage payment must be lower compared with the original VA mortgage payments prior to the refinance (this would usually pertain to switching from an ARM to a Fixed-Rate Mortgage). You can not expect to receive any cash from the refinance but only to save. The VA streamline refinance is also known as the VA IRRRL program (which stands for Interest Rate Reduction Refinance Loan) and they are the exact same program – just referred to by two different names. The VA streamline has less documentation than a full refinance and many times the lender can close faster with less documentation than a full refinance. Many lenders can do a VA streamline without requiring an appraisal. The VA does not require an appraisal, credit information, or underwriting, but your some VA approved lenders may require some or all of these items. It is possible to roll all closing costs and fees into the new loan when doing a VA streamline. A VA funding fee is usually required. These are just the highlights of the VA streamline loan. Many people have questions about the VA streamline loan, so here are a few of the more frequently asked questions. Does the VA set interest rates for VA loans (and the VA streamline program)? No. The VA does not set or control interest rates for the VA loan programs. Further, the VA is not a lender, so they also do not lend you money. VA approved lenders are the ones who actually lend you the money and the interest rates for VA loans are not set as only one rate for everyone – each lender will have a different interest rate that is set by the market. The VA itself does not require an appraisal or credit check when doing a VA streamline, but that doesn’t mean that a lender will not require it. Requirements for appraisals and credit checks will vary by lender – which is just one more reason to shop around when thinking about getting a VA loan. Learn more about finding a VA lender who does not require a credit check. Many people hear about the VA streamline program through their current lender and assume that the only way to go through the program is through their current lender. False! With the VA streamline, you can use any VA approved lender – which is why it makes all the sense in the world to shop around for the best deal. You might be surprised to see how much you can save just by making a few phone calls or asking a few lenders for a quote. The HARP program is for people who are currently in a loan that is owned by Fannie Mae or Freddie Mac. In short, if you are in a VA loan you are not going to be eligible for HARP and if you are eligible for HARP then you aren’t going to be eligible for the VA streamline. Although the two programs are similar – they are not identical and each has its own guidelines. Generally speaking, no. The program is designed to help VA homeowners lower their rate with the least amount of paperwork possible and not to provide any cash back from the equity in their home. That said, occasionally there will be an overage when you go through the transaction and sometimes you may receive a small amount of money at closing or shortly after – but the amount shouldn’t be more than $500. Does the VA streamline program require an appraisal? Whether or not you will be required to get an appraisal depends on the lender you are working with. Some lenders will require an appraisal, some will not – which is just one of the reasons that you will want to shop around for the best deal possible. If you are in a situation where you owe more than your house is worth, then you will want to do a VA streamline without appraisal and find a lender who can help you get it done. Who are the biggest VA streamline lenders? The biggest VA streamline lenders are the banks that you know of and trust – Wells Fargo, Quicken Loans, Citibank, Chase are just a few of the biggest VA lenders. One VA lender that many people don’t know of is Veterans United – just like the big banks, they are a great VA lender. The real question probably isn’t who the BIGGEST bank is, but who the RIGHT bank is for your situation. Not every bank will have the same product mix and although rates are usually close, you can reasonably expect one bank to have better rates than the others on any given day. Rates aren’t the only thing – there is also service. How well your loan officer communicates, how knowledgeable they are about the guidelines and how fast the lenders turn times are probably just as important as who has the lowest advertised rate. 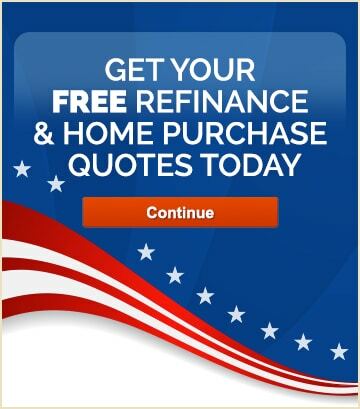 Our VA approved lenders are standing by to give you a free rate quote on the VA streamline program. Shopping lenders is the easiest way to make sure you are getting the best deal on your refinance because getting written quotes from approved VA lenders can help you easily compare. Shopping lenders and getting multiple quotes is one of the single best things you can do to get the best possible deal from the right lender when refinancing. Get started now by submitting your information and get matched with the best lender for your situation.